The tale begins with a game of chess—and on the outcome of that game hinges the destiny of a great city. From appalling injustice springs forth the story of Chicago, and the men and women whose resilience, avarice, and altruism combine to generate a moment of unprecedented civic energy. A variety of irresistible voices deliver the many strands of this novel: those of Jean Baptiste Pointe de Sable, the long-unheralded founder of Chicago; John Stephen Wright, bombastic speculator and booster; and Antje Hunter, the first woman to report for the Chicago Tribune. The stories of loggers, miners, engineers, and educators teem around them and each claim the narrative in turns, sharing their grief as well as their delight. As the characters, and their ancestors, meet and part, as their possessions pass from hand to hand, the reader realizes that Jonathan Carr commands a grand picture, one that encompasses the heartaches of everyday lives as well as the overarching ideals of what a city and a society can and should be. 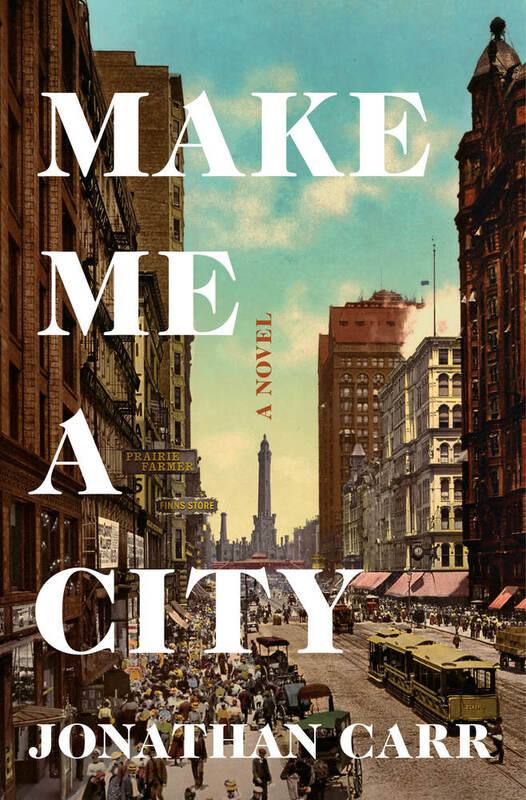 Make Me a City introduces us to a novelist whose talent and ambition are already fully formed. In between periods spent living in the UK, Kenya, Gambia, Greece and Louisiana, Jonathan Carr first visited Chicago in 1983. A graduate of Cambridge University, he has worked as a travel correspondent, a book reviewer and a teacher of English. He holds a PhD from Bath Spa University in Creative Writing. Make Me a City is his first novel. He currently lives in Bologna, Italy.